Artists have subverted the common postcard for decades. While the artists’ postcard began as a child of the Conceptual and Fluxus movements of the 1960s, it quickly broadened as an artistic medium to highlight political and social issues, such as feminism, anti-war protest and the fight against AIDS. 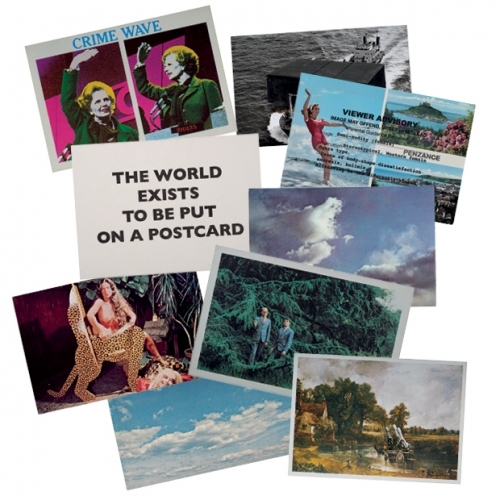 In this, the first major museum display of artists’ postcards, discover both the politics and playfulness of this unique collection of 300 postcards recently gifted to the British Museum by the artists’ postcard expert Jeremy Cooper.